1: No deformation, easy to maintain. 2: Natural fresh, no irritating odor, light bamboo fragrance, green and natural. 3: texture and beautiful, bamboo pattern is clear, each texture is unique. 4:Structure is stable, hardness is good, wear-resisting, durable. 2: Due to different display resolutions and different angles of light taken, there may be a certain color difference,Please refer to the actual details for details. 3:The product is a table. 4: Within 8-16 business days, you will receive your purchase information,If you have any questions, please contact us by email,Our service team will serve you. The material of the table is well-selected,The bamboo is carbonized at high temperatures and pressed into plates. Fine workmanship, finely polished surface, delicate and smooth texture, smooth lines, atmosphere, full color. The entire edge, corner After manual processing edging Will not stab hands,Beautiful and safe，Children study the use of safetyrest assured. 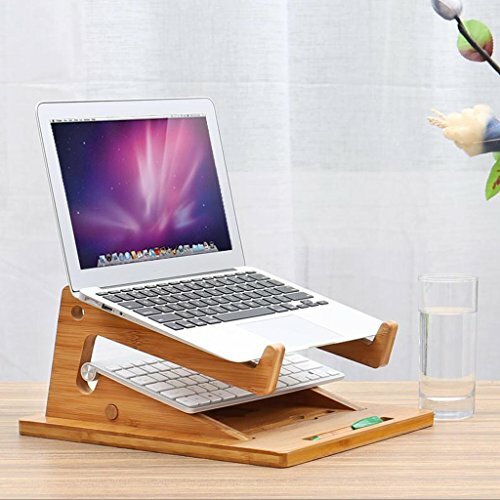 Multi-purpose: can be used as a laptop table, can also be used as a coffee table, can also be placed books, magazines and other items, but also can be used as a small desk. Simple and convenient, stable and space-saving, easy to store, easy to move, easy to assemble,And waterproof, moisture-proof, tough, environmentally friendly, easy to clean and care. If you have any questions about this product by GHM, contact us by completing and submitting the form below. If you are looking for a specif part number, please include it with your message.